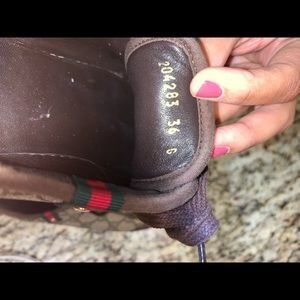 jtawanna118 Comes with box and tags? 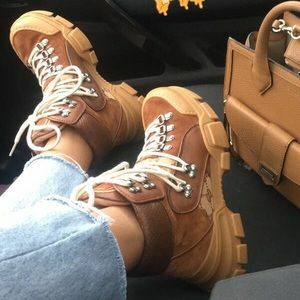 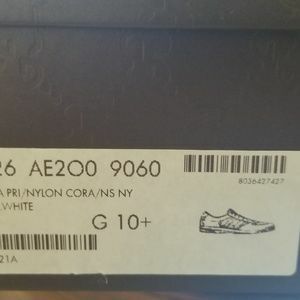 keandym2011 @ashtont12 hey I’m interested can u send me more pics , receipts etc Keandym2011@gmail.com and if I wear a size 5 in boys will these fit ? 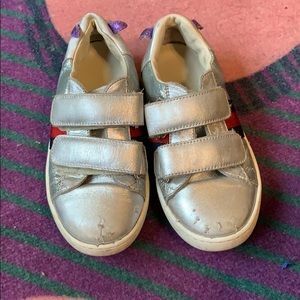 marielsuheim Could you post more pics? 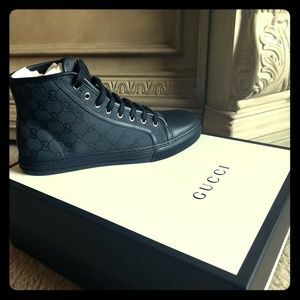 chilliard27 @ashtont12 yasss got them what size and how much ? 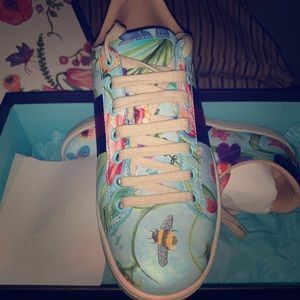 fidalachula @ashtont12 can you send me photos of the tan ones? 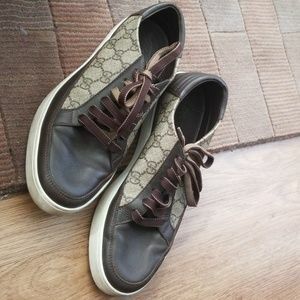 shoefeish Do u still have them? 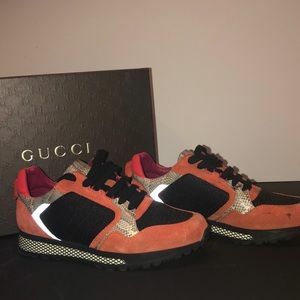 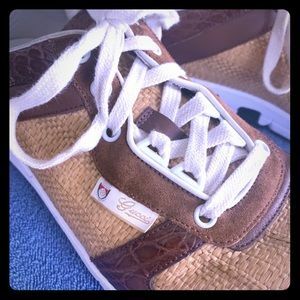 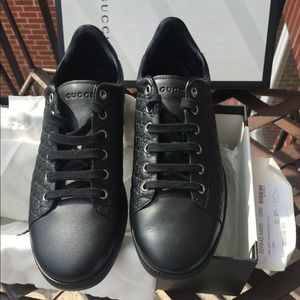 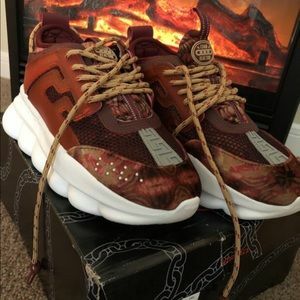 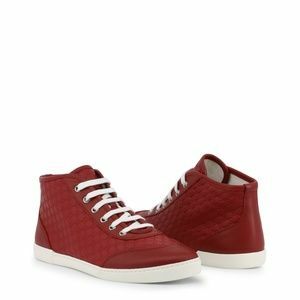 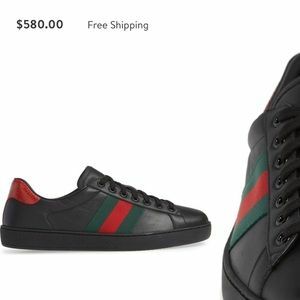 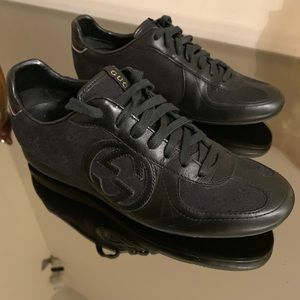 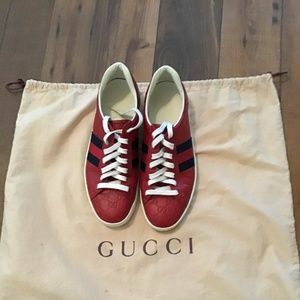 AUTHENTIC Gucci Men Sneakers in Great condition! 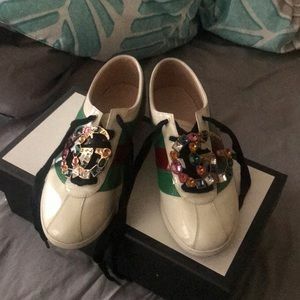 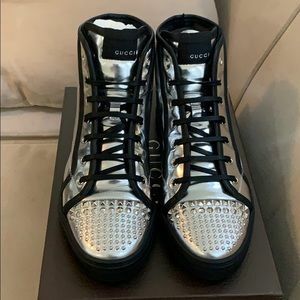 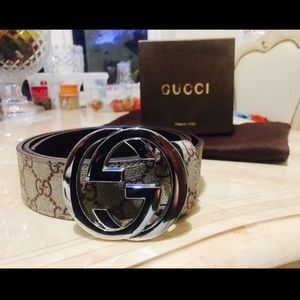 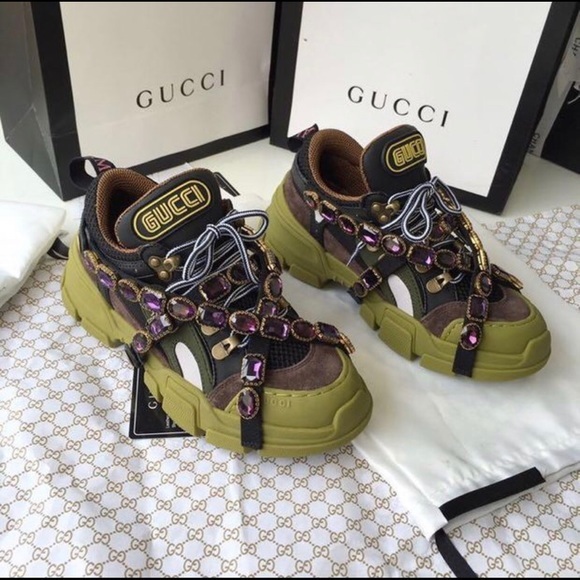 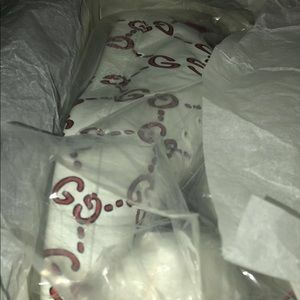 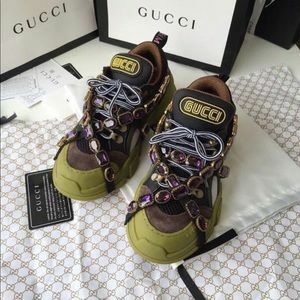 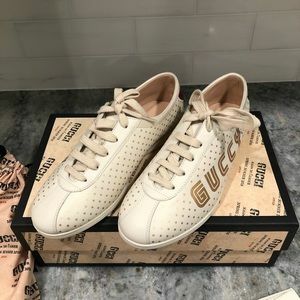 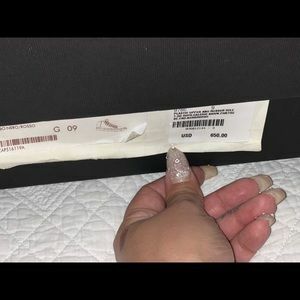 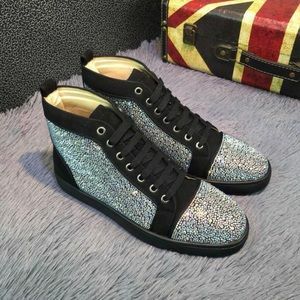 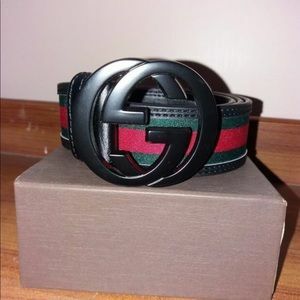 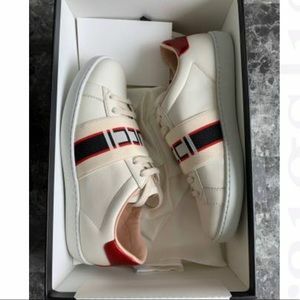 Authentic Gucci shoes - brand new!